Matt Latos is a baseball pitcher for the Cincinnati Reds. His debut saw him play for the San Diego Padres aged 21, where he pitched for two years. 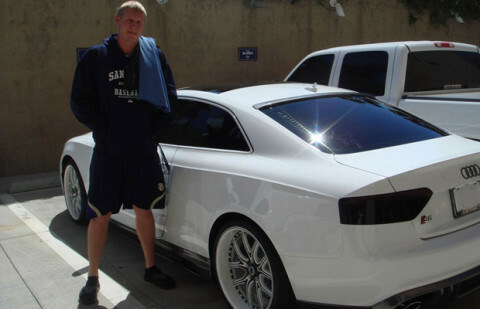 Being 6′ 6″ and 245 lbs, Latos has picked the perfect ride in an Audi S5. 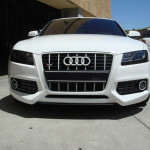 Suitably sized and offering a good amount of power, Latos’ S5 has been tastefully modded with tinted rear lights and windows, its white rims finishing off the over all look very nicely.